'Gandhi and Philosophy' by Shaj Mohan and Divya Dwivedi is a remarkable moment for philosophy in the subcontinent. A philosophical account of Gandhi’s thought covering over 100 volumes, his theoretical inventions and his religious political project has been missing. The book Gandhi and Philosophy by Shaj Mohan and Divya Dwivedi has not only achieved such a philosophical accounting, it has thereby made a convincing demonstration of the limit of Gandhi’s political project which continues to influence political thought everywhere. It is a highly critical work, which is shocking, but at the same time the reader is left with a worry that Gandhi has been elevated too much by this book, given the recent criticisms emerging about his political views. It is imperative to note that this book has two different projects. On the one hand, it develops a philosophical critique of Gandhi through a highly original method, which they call criticalisation. On the other hand, this new method radically shifts the meaning of philosophy itself. 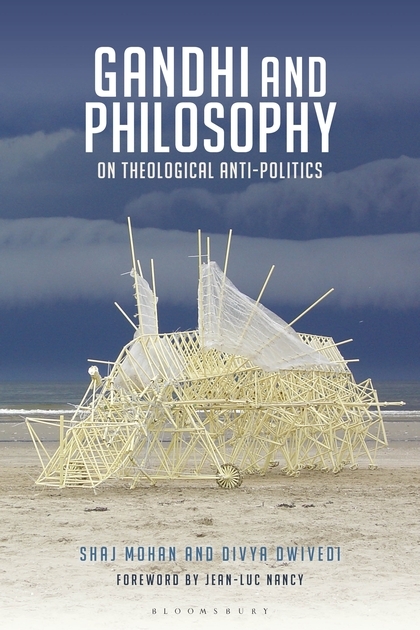 This project of a new beginning for philosophy has been acknowledged and emphasised in the foreword to the book by Jean-Luc Nancy, who is arguably one of the most important philosophers alive, with Alain Badiou. Nancy writes, “The originality of their investigative analysis of Gandhi’s thought has to do with their effort to bring to light the ambivalence of a thinking that risks dissolving in the ‘ocean of truth’ the very existence of men and women who this very ‘Truth’ should illuminate.” I will return to the significance of this foreword. Gandhi and Philosophy often reads like a thriller, but at times it demands careful attention, which is not surprising since it is an original work in philosophy already recognised by some of the important contemporary philosophers such as Nancy, Stiegler and Bernasconi. The authors invent new formal concepts out of the sciences and mathematics. They engage closely and argumentatively with important thinkers including the biologist Jacques Monod, philosopher Foucault, mathematician Hermann Weyl, anthropologist Pierre Clastres and the burlesque artist Dita Von Teese. Everything ties up only at the end. This is a deliberate continuation of the spirit of modern philosophy and it will be inspiring for all those who are looking for a non-Brahminical and non-postmodernist ways of thinking. One of the startling inventions they make is through the concept hypophysics which they find as the basic principle of Gandhi’s thought system. They define hypophysics as a conception of nature as value. That is, if something is in its ‘natural state’, it has the greatest value. When a rock is lying on the river its value is greater than that of the rock in a concrete mix. Man in a village walking to his paddy field has more value than an urban dweller riding a motorcycle. The very meaning of value is the closeness a thing has to its natural state. The dual character of this book is seen in the use of hypophysics as well. Somewhat following Nietzsche and Heidegger who used “metaphysics” as a diagnostic tool to understand history of thought, the authors are using hypophysics as a new diagnostic tool. Dwivedi and Mohan are the first scholars to bring to attention Gandhi’s own reliance on the concept of speed to think about civilisation and colonialism. They put forward this theory in 2007 in a paper ‘Critical Nation’ published in Economic and Political Weekly. They bring our attention to the work of Thomas Taylor, whose book The Fallacy of Speed had a major influence on Gandhi. For Taylor and Gandhi, when the speed of communication, travel and production increases, mankind loses value and meaningful connection with nature. The authors show us that the use of the concept of speed makes sense only when it is related to hypophysics. All things have speed, as in the speed of changes in seasons, changes in crop rotation and physical movement of animals. They also refer to Aristotle’s concept of “kinesis” which looks at the change of a thing from potential state to actual state. But the speed that Gandhi talks about is the speed of the deviation from the hypophysical nature. So when we travel by airplane its speed takes us further away from nature, and according to Gandhi “further away from the Maker” (Hind Swaraj). They write, “The world of man departs from the divine with cumulative speed.” So, speed is the scale of distance from God for Gandhi. The authors propose that there is a theory of faculties in Gandhi which are body, mind and soul, and they develop it by paying very close attention to Gandhi’s writings. Dwivedi and Mohan derive analogy, homology and polynomia as the principal categories through which the faculty of mind functions. The authors formalise a new concept of homology from biology and mathematics. They define homology as the power in a thing to manifest as something else altogether at another time. In biology, new organs develop out of the ancestor’s organs which were put to different uses. The feathers of dinosaurs became the feathers which help with flight in birds. In the other project of creating new possibilities for philosophy, social sciences and politics, these inventions are highly significant. The last 100 years had been rather depressing for philosophy since Heidegger declared “the end of philosophy”. It resulted in postmodernism, according to which everything is a sign and therefore just an interpretation. The formal concepts created in Gandhi and Philosophy free thinking from the dominance of “historicism,” “the sign” and “the signifier”. Gandhi called his God the Lawmaker. He also said, “He and the his Law are one.” This book shows a struggle in Gandhi between the Maker, who is almost an immanentist’s God, and the special animal of this Maker’s creation, man, who is himself a lawmaker. So the struggle is between divine laws and manmade laws, where Gandhi obviously favours the former. Dwivedi and Mohan take a mathematical view of the law. That is, a law defines a regularity, which is very liberating after the ambiguous discussions of the law in the last century through Benjamin and Schmidt. 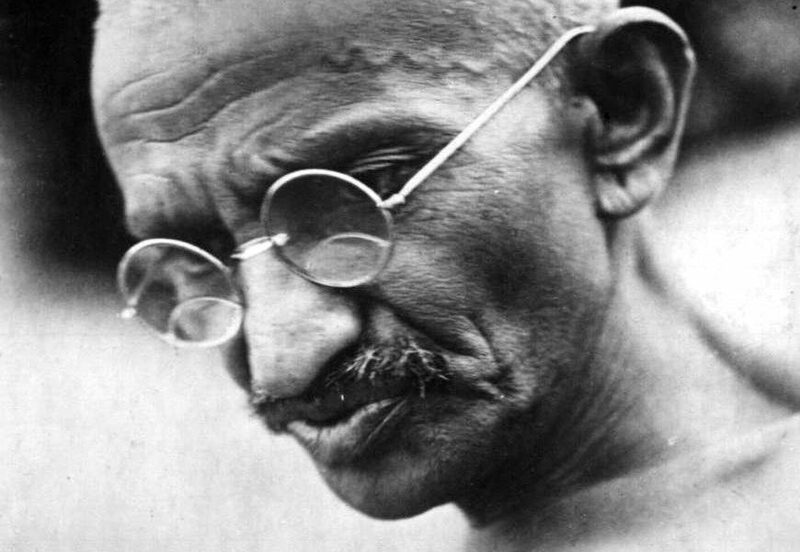 They show that Gandhi was an observer of the mathematical idea of law; he said, “discard irregularity as an enemy”. Gandhi was opposed to the possibility that many laws could define the same thing and the same law could define many different things. The authors call this possibility inherent in the very idea of the law polynomia. This term has a mathematical basis and it will change the way we view politics and institutions. One of the laws which guided Gandhi’s political endeavour was his maxim of the unity of means and ends. Gandhi used a metaphoric device for it, saying, “Ahimsa and truth … are like the two sides of a coin.” The authors take the series of these statements from Gandhi and then link the unity of means and ends with the idea of “reciprocal immurement”. They call this tendency “calypsology”. There is an allusion here to Poe’s story The Cask of Amontillado, where a man was immured in a wall. But their explicit reference is to the character of “Calypso” in the Odyssey. The reason is evident, that the word calypso means “to cover” in Greek, from which we get “apocalypse”. This, I suspect is also due to Heidegger’s concept of truth as “aletheia”, which meant uncovering, although the author’s project is opposed to Heidegger. If human beings lose or renounce the ability to be free to some extent with the exchange between means and ends there will be no progress nor even survival. The exchange of means and ends under “polynomia” is the very freedom of humanity. They define politics through freedom, “politics is always the fight for freedom; in so far as there is the fight there will be freedom, or freedom is inseparable from the fight for it”. This desire to immure mankind is shown to be operating at the heart of Gandhi’s system of thought. 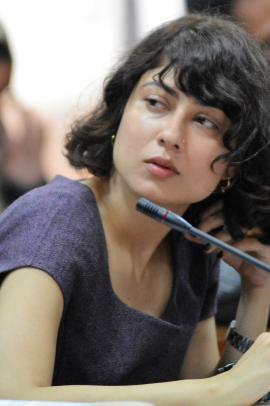 The book makes a convincing argument that Gandhi’s politics would result in the end of humanity itself, “That man must not be is the thought that guides the little moral ostentations deriving from Gandhi should obtain for us a horizon to rethink the meaning of nihilism.” Gandhi wanted to bring humanity to this end through “a slow and just rhythm” as Nancy puts it in the foreword.The authors call the theological state of this end “critical nation”. Their arguments explain Gandhi’s shocking conduct with respect to the holocaust, wherein he asked the Jews to accept the Nazi extermination camps as the best sleep given by God, and the atom bombs dropped in Japan, about which he said he “did not move a muscle”. I must make two important remarks about the greater philosophical project undertaken by this book. First, the authors are also opposing the new tendencies in philosophy which are highly nihilistic. For example, one of the leading contemporary philosophers Alain Badiou has a new metaphysics based on the idea of “the void” which he subtracts from set theory. But we know that the void or “sunyata” is also the primary concept in Buddhism which Nietzsche interpreted as the noblest form of nihilism. They show a strong relation between Gandhi and Badiou as they uncover Gandhi’s influence on French thought. If everything was based on the void or emptiness then truth would be whatever one wills as truth, and this relates to the problem of “post-truth”. In the chapter called ‘Truth and Will’, we see precisely this move in Gandhi who used love, heart and will interchangeably. Gandhi found this way to create truth through willing in St. Paul who is also Badiou’s saint from whom he discovered a ‘new’ concept of truth. Dwivedi and Mohan oppose the nihilist tendencies in philosophy and propose a new beginning which must pass through a phase of thinking rigorously about “the end”. They attend to two kinds of thinking about the end, one as teleological (goal directedness) and the other as eschatological (death or the finishing off of things), and Gandhi collapsed teleology into eschatology. This is obvious, since Gandhi’s maxim was “the non-beginning of a thing is supreme wisdom”. They call the new beginning “the ana-stasis” of philosophy. When many groups enter into conflict to define the law which will be applicable to all groups it creates something the ancient Greek people called “stasis”. This problem is discussed at length in the book under the difference between “component laws” and “comprehending laws”, which is a current political problem in India which we call “communalism”. The overcoming of stasis is called ana-stasis. But what Dwivedi and Mohan argue is that ana-stasis is at work in all systems, including in biology and politics. What Nancy refers to through the term “orient” is the re-beginning of philosophy which Heidegger had hoped for in his posthumous writings. This book of philosophy from the subcontinent is a new beginning for philosophy everywhere, because it liberates philosophy from metaphysical and theological thinking. It also frees philosophy from the geo-political and ethnocentric divisions of east and west. In these dark hours, this is a remarkable moment for philosophy in the subcontinent which has been lying in neglect because of the Brahminical control of thinking and rote learning. 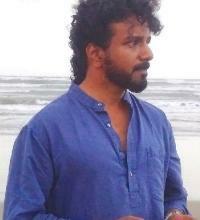 J. Reghu is a political thinker and prolific intellectual based out of Kerala. 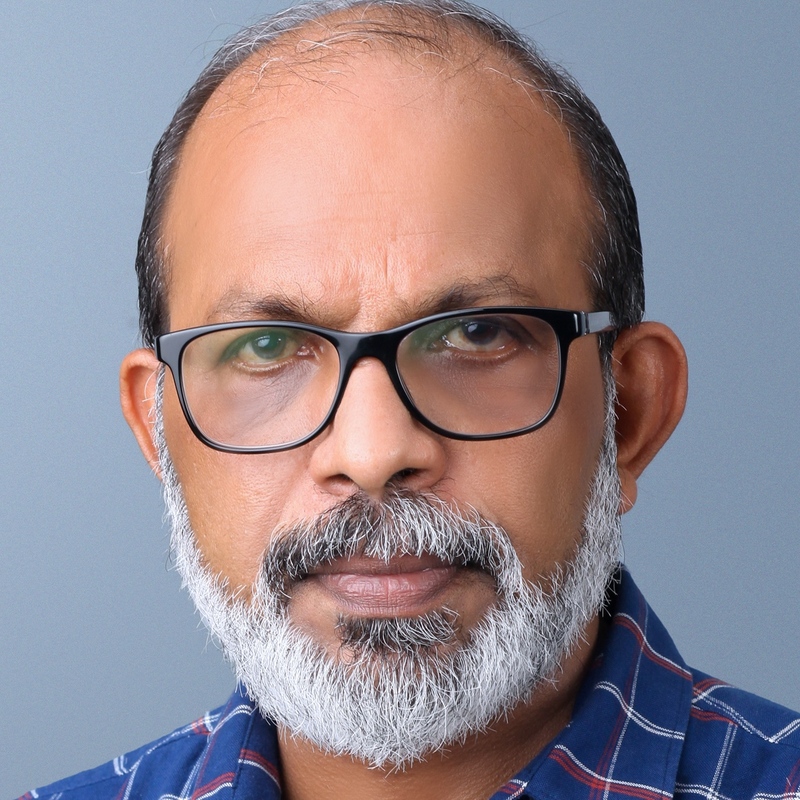 His academic and research publications have been on caste, re-appraisal of colonial period, and Narayana Guru which have appeared with Routledge and Oxford University Press. He has lectured at Manchester University and Indiana University. He is the author of several books and he is also a translator. Currently he is completing a book length study on the intellectual milieu Narayana Guru.